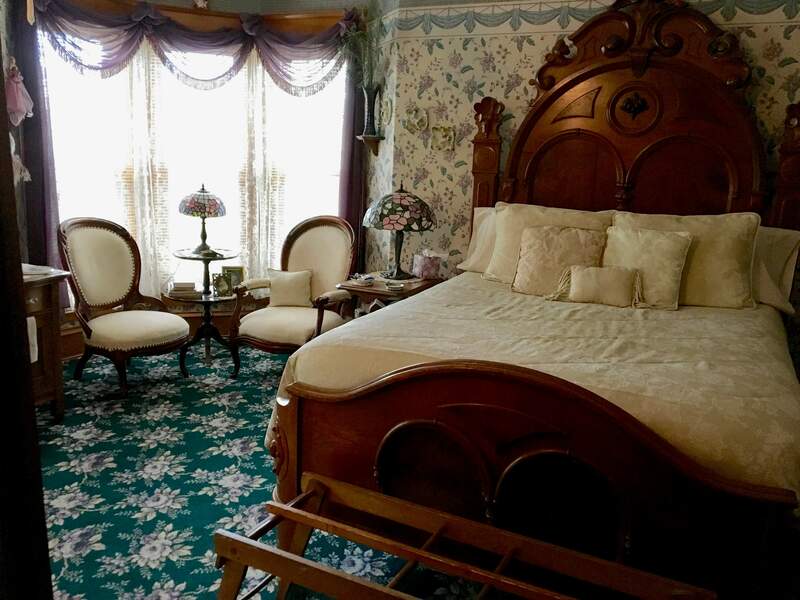 At Adrounie House Bed and Breakfast, today’s comforts meet the grandeur of 1894 craftsmanship. The front entry and dining room of this Sears and Roebuck house have wonderful inlaid floors of oak and birdseye maple. Four sets of huge pocket doors grace the common areas on the main floor, which include a parlor and sitting room with fireplace. 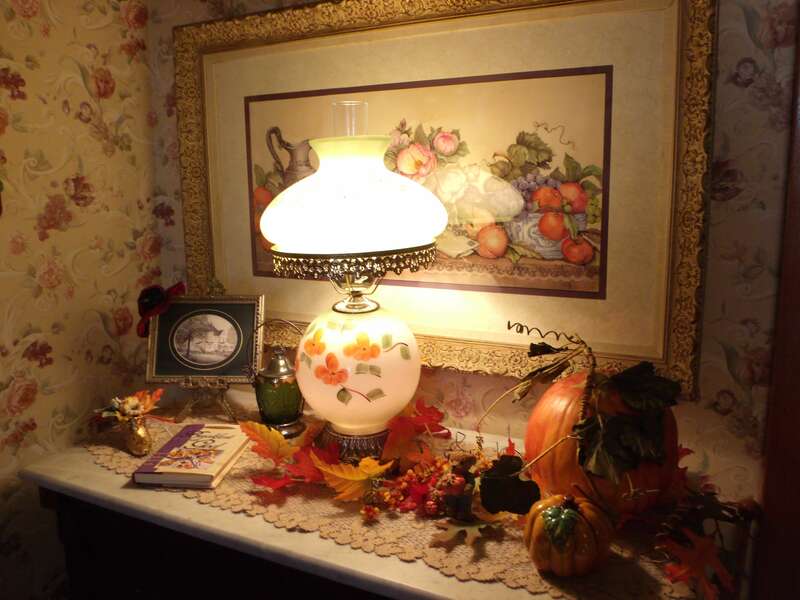 Lots of antiques and collectibles are found throughout the house. 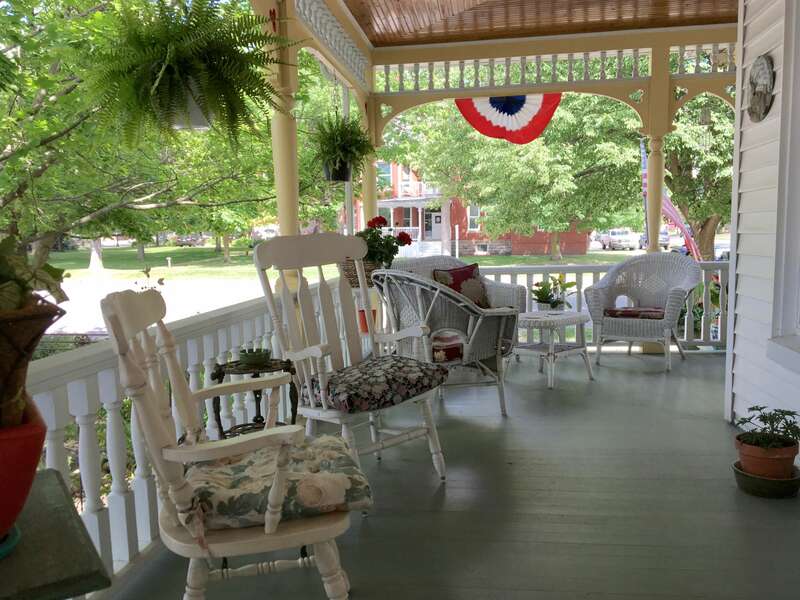 Guests enjoy porch-sitting on our comfortable wrap-around porch with early-morning coffee or a cup of tea and a good book. Rooms amenities include A/C, ceiling fans, cable TV, WiFi, freshly ironed sheets, cotton swabs and rounds, snacks. A hair dryer available. Adrounie House (pronounced ah-DRO-nee) is open all year. Unlike many B&Bs, we require no minimum stays. A full breakfast is served, accommodating special dietary needs. Some breakfast specialties are Orange Pecan Baked French Toast with a peachy-orange sauce, Three-Cheese Crustless Quiche, Puffed Pancake with Sauteed Apples, Blueberry/Peach Stuffed French Toast, or Multi-Grain Buttermilk Pancakes, all served with fresh fruit and yogurt as a breakfast starter. 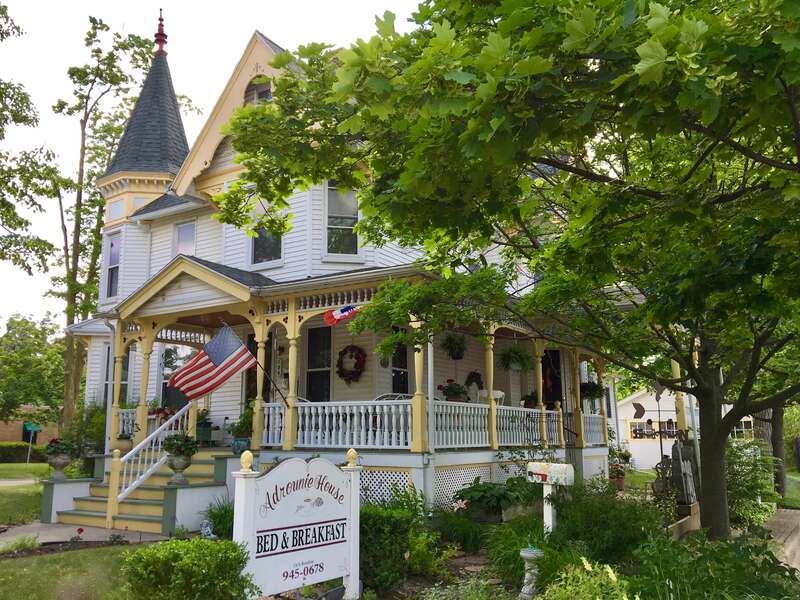 Adrounie House, which is listed as a Michigan Historical Site, is sometimes referred to as “The House of Two Doctors.” Dr. George W. Lowry built it over a two-year period starting in 1892. After his death, it was occupied by Dr. Haroutoune A. Adrounie and his wife, Dirouhie. Adrounie was an Armenian Christian who immigrated from Turkey in 1909. 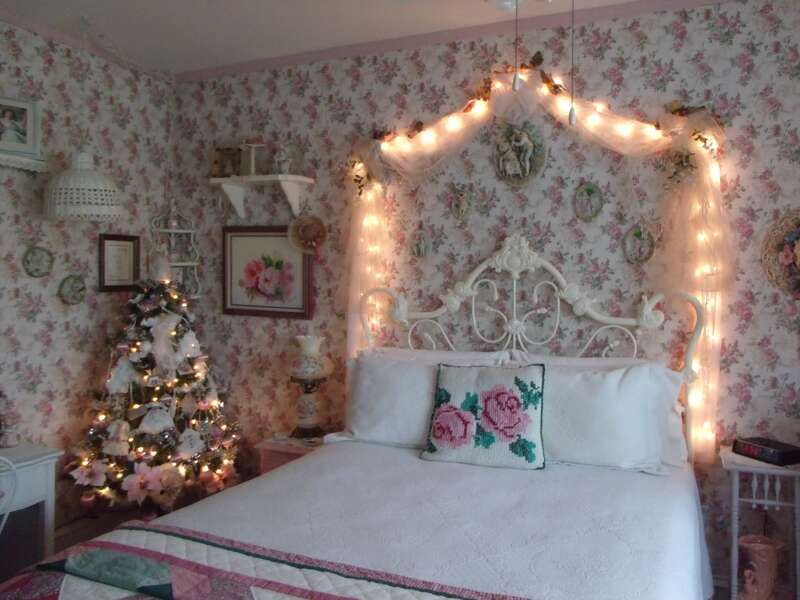 Innkeepers Don and April Tubbs, third owners, lovingly restored the home and opened as a bed and breakfast in July 1998. Hastings has been listed twice in "100 Best Small Towns in America To Live In." 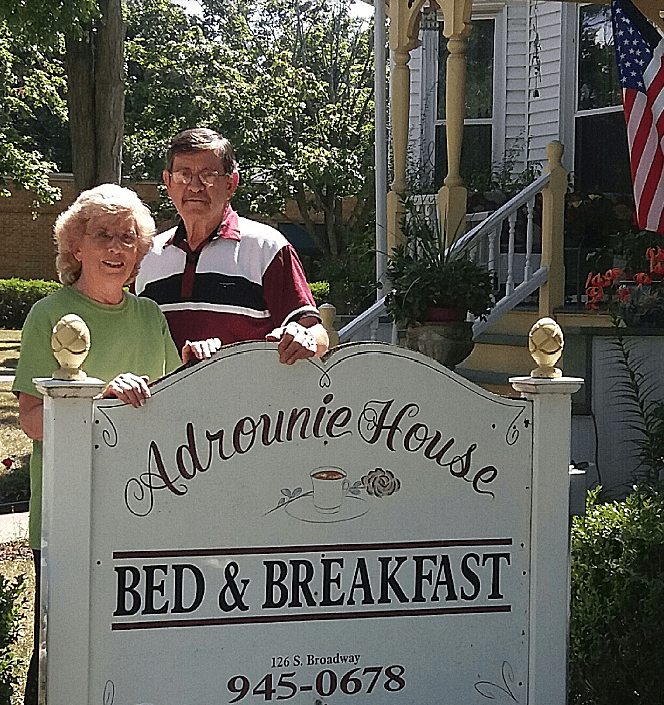 Adrounie House is within walking distance to shops and restaurants and a four-screen movie theater. 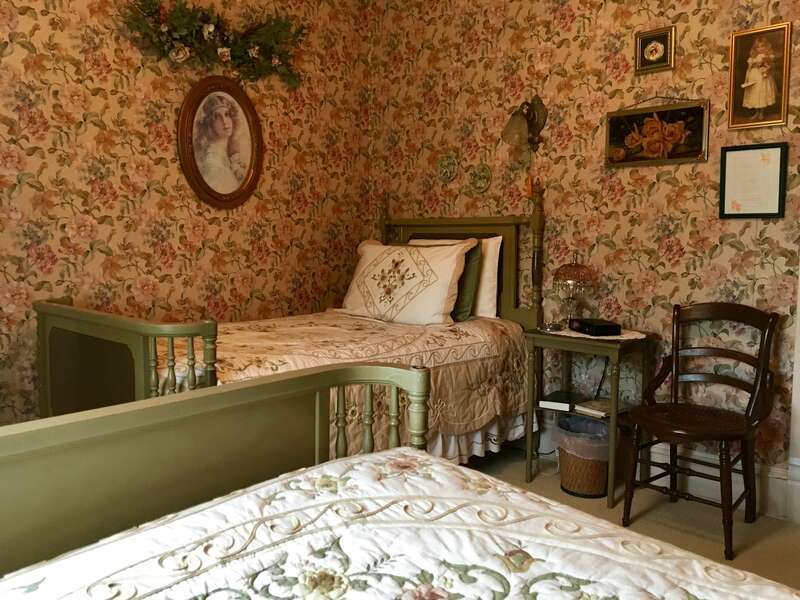 Enjoy a step back in time to a peaceful and relaxing experience. 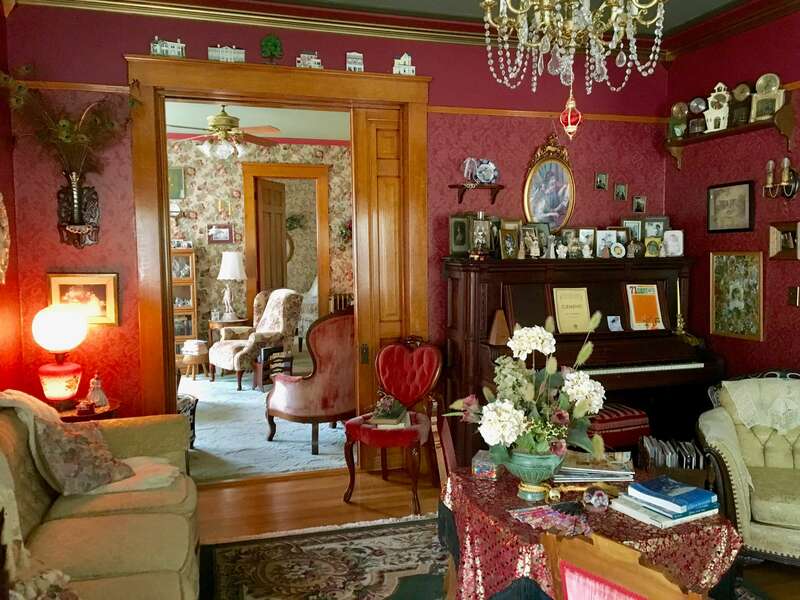 This home as been lovingly and beautifully restored to reflect the Victorian era with lots of antiques and collectibles to set the tone. The front entry and dining room have wonderful inlaid floors of oak and birds-eye maple. Four sets of huge pocket doors frame the rooms on the main floor, with beautifully hand-carved woodwork on the paneling of the open stairway and beneath the windows. 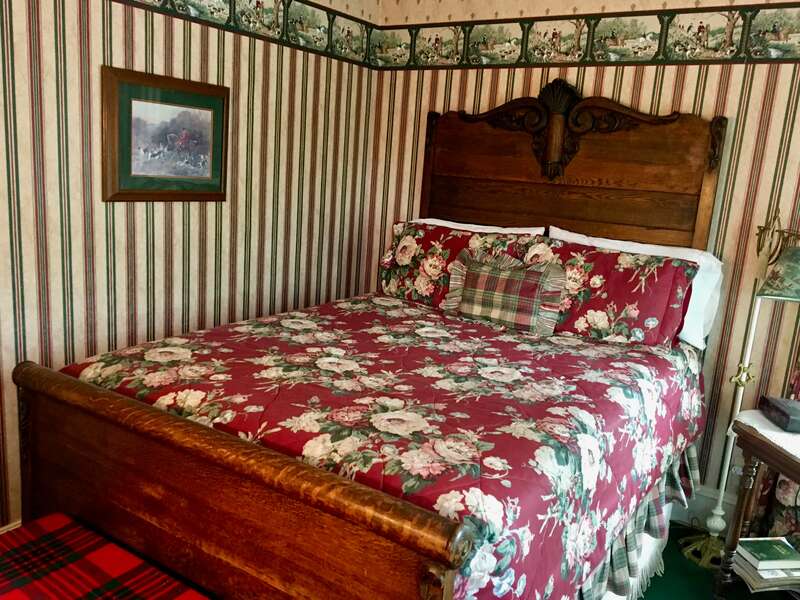 The six guest rooms, each comfortably decorated with its own personality, include TV, A/C, WIFI and private baths, two with Ultra Thermo-Massage Whirlpool tubs. A full breakfast is served in our dining room and we cater to any special dietary needs. During the summer months, enjoy live music presentation with “Fridays at the Fountain” during the noon hour and “Music at the Thornapple Plaza” in the evening. The city is home to approximately 25 art sculptures, which makes a fun walking tour. We are close to Charlton Park Historical Village and Museum with lots of summer fun activities located on the Thornapple River. The Gilmore Car Museum, number one in the state and listed in top five in the world, is located 20 miles away. The Frederik Meijer Garden is approximately 25 miles from Hastings. Birding is a favorite activity at nearby Otis Sanctuary. With nine miles of trails, outdoor adventures and activities are abundant at Pierce Cedar Creek Institute. Canoes and kayaks available nearby for fun on the Thornapple River. Hiking and biking trails available nearby and at Yankee Springs Recreational Area.